Marco Asensio is widely considered one of the best young players in world football and the former Mallorca playmaker has now been given title of best U21 player in Europe by French publication L'Equipe. The 21-year-old Spaniard pipped Tottenham's Dele Alli to first place, the Englishman sitting in second. New Paris Saint-Germain star Kylian Mbappé completes the top three, leaving Barcelona's French talisman Ousmane Dembélé sitting in fourth. Asensio first joined Real Madrid in 2015, leaving Mallorca in a deal worth just €3.5m. After impressing whilst on loan at Espanyol during the 2015/16 season, Asensio has forced his way into the Real Madrid team and provided us with a number of wonderful goals for club and country. The youngster had a staring role in Real Madrid's Supercopa de España thrashing of Barcelona, scoring two goals to help guide Los Blancos to pre-season glory. You're the chairman of a struggling side & your newly appointed manager has started off the season terribly, what would you do? Give them at least one full season and then decide. Give them another couple of games to turn it around. 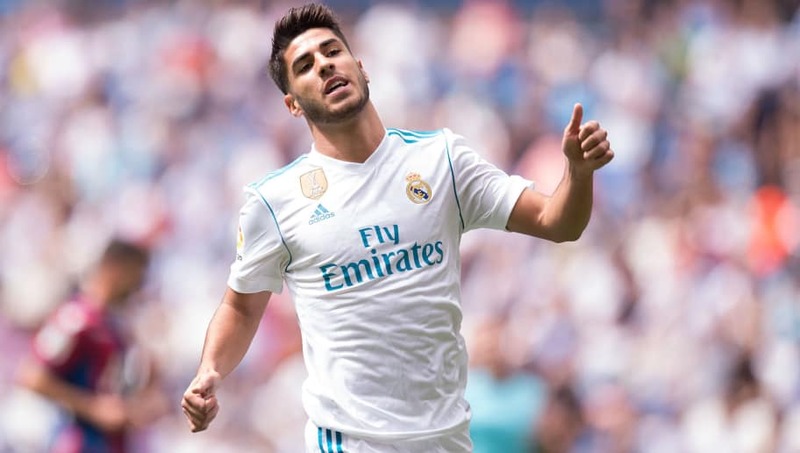 Compatriots Dani Ceballos (15th), Jesús Vallejo (31st), Carlos Soler (40th), and Mikel Oyarzabal (44th) also join Asensio in the top 50 players born in 1996 or later.